The B.E. Smith Family Center reached a major construction milestone on July 26, when crews lifted the final steel beam of the building's structure into place. Mark Stoddart, Director of Spiritual Wellness at SMH, leads children from the Lee Ann Britain Infant Development Center and Early Learning Center in a song and blessing as the beam is lifted into the air. Our kids took opportunity to leave their mark on the building, by signing the beam prior to the celebration day. Hear what our kids from the Lee Ann Britain Infant Development Center and Early Learning Center had to say about their new school at the B.E. Smith Family Center Groundbreaking Celebration. Join us for a Groundbreaking Celebration! On the site of the future B.E. Smith Family Center, located at the corner of 75th Street and Grandview on the SMMC campus. Dedicated parking for guests will be available in the lot adjacent to the McEachen Administrative Center building, located at 7235 Antioch Road, to the east of the SMMC campus. A complimentary shuttle will be available to take you to and from the groundbreaking site. For questions or to RSVP, please contact Tami Sisson at tami.sisson@shawneemission.org or 913-676-2884. Teachers and children from the Shawnee Mission Health Early Learning Center moved into new, temporary facilities in late December 2017, preparing the way for the demolition of their former building. Once demolition is complete, crews will begin re-working the site to prepare for the construction of the B.E. Smith Family Center. This footage was taken on February 1, 2018. The 36th annual Tiny Tim Holiday Fantasy, held Sunday, November 5, raised a record $1.2 million to benefit the construction of the B.E. Smith Family Center, the future home of the Lee Ann Britain Infant Development Center (Britain IDC) and the Shawnee Mission Health (SMH) Early Learning Center (ELC). Twelve hundred guests attended the sold-out event at the Overland Park Convention Center. The event was co-chaired by Scott and Julie Kelly, who have a long history of generous support and involvement with the Britain IDC, the Tiny Tim Holiday Fantasy and The Foundation for SMMC, dating back to 1998. Mark Gilman served as the Honorary Chair. Through the Tiny Tim Holiday Fantasy event and the Children’s Capital Campaign, the Foundation for SMMC has raised more than $18 million for the new Center. “We are grateful to each of our donors for their generosity, which enables us to serve children in the community with vital therapies and educational programming,” said Lou Gehring, senior executive director of The Foundation for SMMC. Each year, the Tiny Tim Holiday Fantasy event also presents the Richard V. Edmonds Award for Exemplary Service, which was created in 1995 in recognition of the years of leadership and service Richard Edmonds gave to SMMC and the community. The 2017 Richard V. Edmonds Award for Exemplary Service honored Kevin and Julie Hosley. The Hosleys started their journey at the Britain IDC nearly 20 years ago when their son, Reed, who was born with a rare genetic disorder, started receiving therapies. Kevin and Julie, who are both employed by Hallmark, have generously donated their talents to the Britain IDC – providing photography and art direction services for Tiny Tim and serving on the Tiny Tim Executive Committee. For further information on Tiny Tim or the Children’s Capital Campaign, contact the Foundation for SMMC at 913-676-2055. Take a glimpse into the life of one of our Britain IDC families, through this feature video from the 2017 Tiny Tim Holiday Fantasy. The Lee Ann Britain Infant Development Center is grateful to be a beneficiary of the United Methodist Church of the Resurrection's 2017 Easter Offering. This gift will benefit children who receive sensory therapy at the Britain IDC, through the purchase of special, state-of-the-art therapy equipment and technology. Hear our families tell the stories of the difference that the Lee Ann Britain Infant Development Center and SMH Early Learning Center have made, and share their excitement for the new B.E. Smith Children's Center. boost through the 35th Annual Tiny Tim Holiday Fantasy on November 20, 2016. The event raised a record-breaking $1,014,000 for the children of our community. guests in attendance. Tim and Kim Deves served as chairs, with Doug and Nan Smith as honorary chairs. The Foundation for SMMC has produced the Tiny Tim Holiday Fantasy since 1985, seeking to raise community support for the Lee Ann Britain Infant Development Center and, this year, the Early Learning Center at Shawnee Mission Medical Center. Tiny Tim funds will help to build a new home for these programs in the B.E. Smith Children’s Center. Through Tiny Tim and the Children’s Capital Campaign the Foundation for SMMC has raised over $10 million for the new center. Earlier this year, former CEO of B.E. Smith, Doug Smith, and his wife, Nan, made a lead gift to begin the fundraising efforts for the new Center. “We are very grateful to Doug and Nan Smith for their visionary gift for the special children of our community. Their investment will make possible an extraordinary building which will change the lives of children with developmental challenges,” said Lou Gehring, Senior Executive Director of the Foundation for SMMC. The Tiny Tim Holiday Fantasy event also honored Joy Cottrell and Dr. Grace Holmes. They received the 2016 Richard V. Edmonds Award for Exemplary Service, which was created in 1995 in recognition of the years of leadership and service Richard Edmonds gave to SMMC and the community. Development Center in 1972, and worked tirelessly alongside founder Lee Ann Britain in the early years of the Center. She played an essential role in developing therapy services for children and families. Developmental Pediatrician Grace Holmes, MD, served on the staff of the Infant Development Centerfrom 1973 until her retirement in 2000. She developed individualized treatment plans for each child inthe program, a vital step in enabling them to reach their greatest potential. Dr. Holmes and Lee Ann Britain published numerous professional articles about the effectiveness of the Center and actively promoted its work at conferences throughout the country. Both Joy and Grace shared Lee Ann Britain’s visionary belief that children with special needs could lead fulfilled, productive lives and worked passionately alongside her to make the Infant Development Center a success. Like Richard Edmonds, they have made a lasting difference for the children and families in our community, and The Foundation was proud to honor them. For further information on Tiny Tim or the Children’s Capital Campaign, please contact the Foundation for Shawnee Mission Medical Center at 913 676-2055. 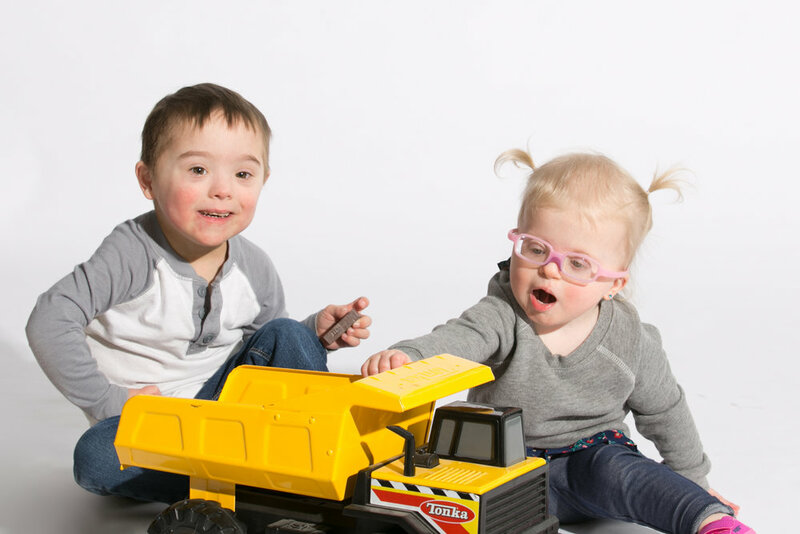 Children with special needs and their families experience unique challenges, and nearly 200 of them each year are better prepared for the future thanks to the therapeutic treatment and early education at Shawnee Mission Health’s Lee Ann Britain Infant Development Center (Britain IDC). Recognizing the valuable resources these programs provide to the community, Doug and Nan Smith have pledged a lead gift to The Foundation for Shawnee Mission Medical Center (SMMC) to build the B.E. Smith Children’s Center, which will allow the Britain IDC to deliver even more advanced levels of care. The B.E. Smith Children’s Center will be built on the SMMC campus at I-35 and 75th Street and will house the Britain IDC and the SMH Early Learning Center (ELC), where 600 children of SMH associates and physicians benefit from Christian-based early education. Not only will the new building replace the outdated facilities where the centers currently operate, it will also enhance their therapeutic treatment and educational offerings. The Britain IDC currently offers individualized programs for each child and family from a team of physical, occupational and music therapists, speech language pathologists, early childhood special education teachers, behavior analysts, social workers and paraprofessionals. With approximately 30 families consistently on the waiting list for the Britain IDC, the B.E. Smith Children’s Center will also help fill a great community need. Smith is CEO of the national health care leadership solutions firm B.E. Smith, which his father founded. The B.E. Smith Children’s Center is named for his father, and represents an opportunity to give back to the regional community and the health care industry. The Foundation for SMMC has launched a $23 million philanthropic campaign to complete funding of the B.E. Smith Children’s Center. The Foundation is grateful to the Smiths for their leadership and their collaboration with SMH leadership on the design and vision for the center. “Generations of community children will have a bright future because of the B.E. Smith Children’s Center,” said Lou Gehring, Senior Executive Director of the Foundation. The Britain IDC is an important outreach program of SMH, touching the lives of more than 4,000 children with special needs since 1972. The Center provides a unique program that involves family and friends in the process of therapeutic treatment and education. More than 90 percent of the families served receive some type of financial assistance. No family is turned away based on the inability to pay. SMH’s Early Learning Center operates for the benefit of SMH associates and physicians serving children six weeks through 12 years of age. Its teachers have a baccalaureate degree, Master’s degree or are currently enrolled in college, and have numerous years of experience with children.